Juniors at Waukeela are extremely spirited and bring a sense of joy, fun, and adventure to our camp community! Campers ages 7 to 12 years old live in our Junior Alley! We call each section of Waukeela an “alley” because our cabins are lined up in two rows facing each other. 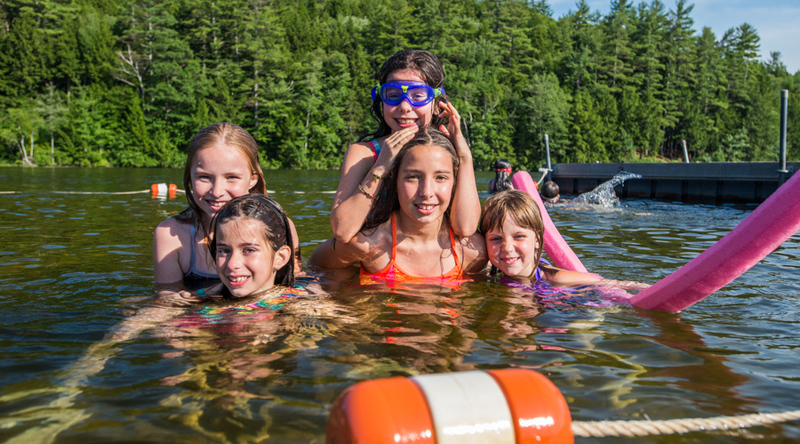 Campers living in Junior Alley form close bonds with their cabin mates and counselors. Juniors at Waukeela have the opportunity to try every activity we offer and build up their skills in many areas they may not otherwise try at home. Juniors swim every day and are instructed by our Red Cross-Certified lifeguards and water safety instructors. Juniors are offered an option to choose an additional activity in which they would like to participate each day. This schedule gives our Juniors a chance to excel in specific skills and the space to grow. During this growth period in their lives, Juniors have access to incredible role models in our staff members and support from older campers and their Waukeela sisters. © Camp Waukeela. All rights reserved.